– From Le Havre the Marco Polo left with a record load of 163 464 tons. – During the port call at Khor Fakkan, a new productivity record was achieved with an average of 223 movements per hour for a total of 6,922 moves! – At Port Kelang, the CMA CGM Marco Polo left with the biggest load ever made by CMA CGM, or 14,398 TEUs. 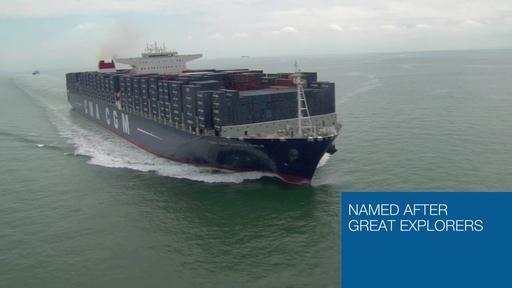 CMA CGM Marco Polo justifies its title of the fleet’s flagship thanks to its environmental performance. On this first turnaround at full load, it has rejected only 40 grams of CO2 per kilometer per ton transported. A reduction of 12% compared to the CMA CGM Christophe Colomb and 23% compared to the modern ships of the CMA CGM fleet. In addition, the CMA CGM group continues to develop other initiatives for the environment: low consumption reefer (3 times less energy consumed), light steel containers (lighter and stronger) or containers with flooring composite material.